This 4 star hotel is housed in a 19th century building decorated with chic art pieces offering luxurious amenities. 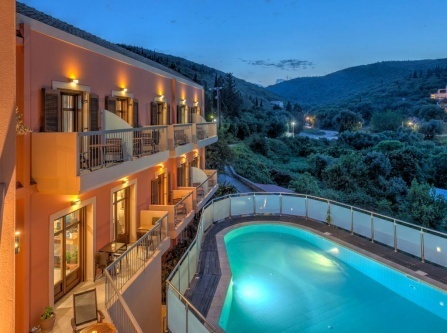 Voted as one of the "Hot 100 Best Hotels in Europe" by the Sunday Times, this luxury resort occupies the most northern tip of Kefalonia. The pools and outdoor restaurants and bars provide front row seating for an unparalleled display of nature's splendour. Luxurious accommodation, a restaurant, an award winning infinity pool and a pool bar, all overlooking the incredible Petani Bay. Ideal for people looking for serenity along with remarkable sunsets, views and above all space, comfort and privacy. 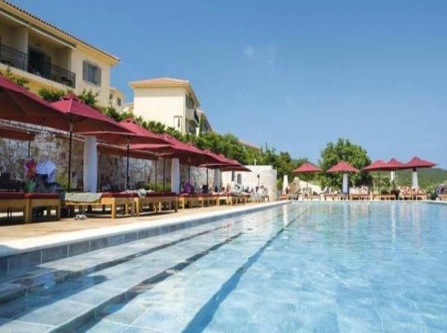 Besides luxurious accommodation, the hotel provides a pool bar, an award winning infinity pool and a restaurant, all overlooking the incredible Petani Bay. 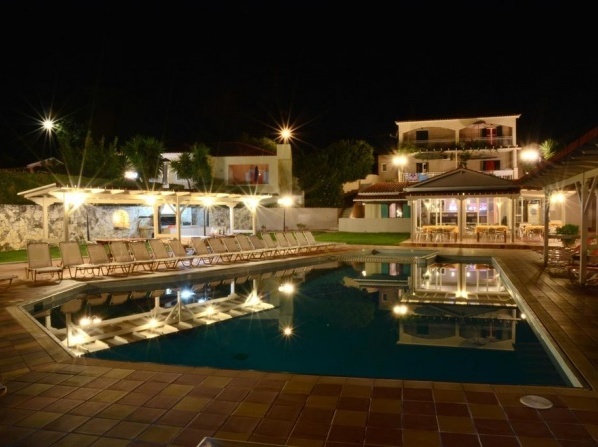 Just a 5 minutes walking distance from the village square of Spartia , the hotel features a tennis court and a swimming pool with a pool bar. 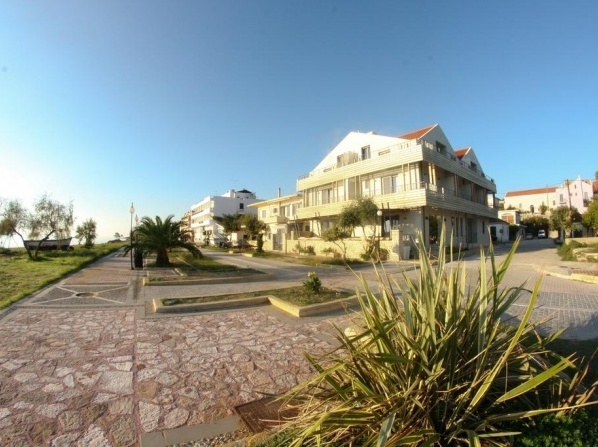 The seventeen air-conditioned studios,apartments and one villa have recently been refurbished and are divided between three buildings. 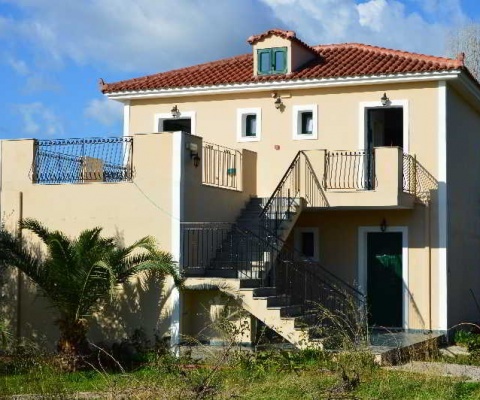 Each has a private balcony or terrace with sweeping views across the valley and Mount Aenos - those on the first floor also face the sea beyond. 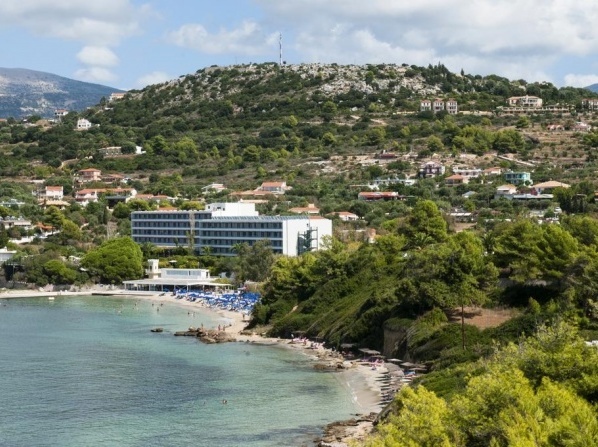 Apostolata Resort and Spa is located on a hillside sloping to the Mediterranean Sea and offers rooms with panoramic views of the island or the sea. 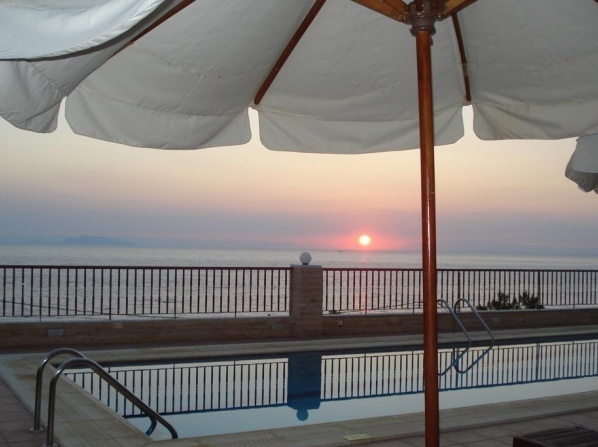 First class hotel consisting of 166 rooms overlooking the Ionian Sea, set on a hillside that slopes gently to the sea. It's the ideal destination for those searching for peaceful holidays. 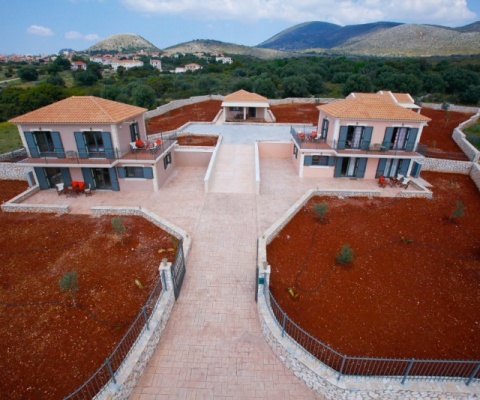 The complex is built in a quiet place 300 m away from Ammes beach and just 9 kms south of Argostoli. 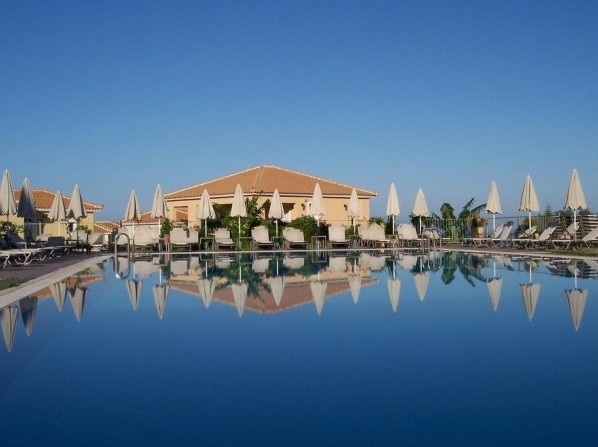 A 5 Star hotel in Kefalonia that was built in 2009 at a privileged position offering panoramic views over the Ionian Sea. 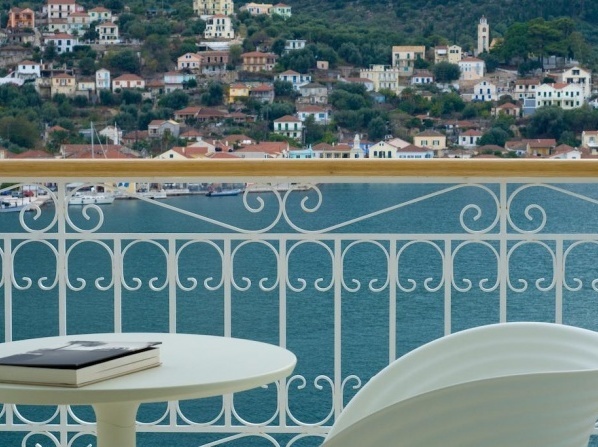 The luxurious accommodation with modern decor and stunning views over the sea is unique, perfectly combined with the personalized service offered. 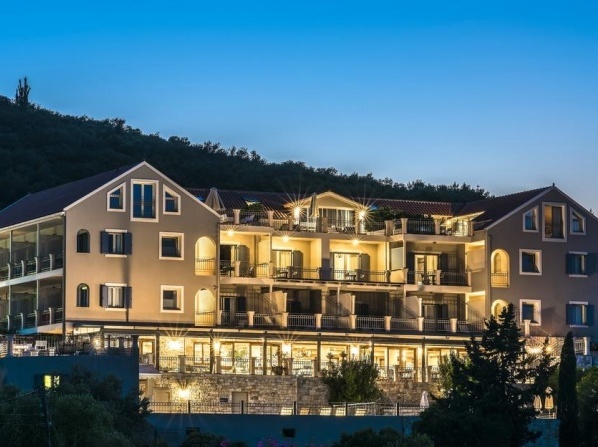 Ionian Emerald Resort and Spa Hotel in Kefalonia Island Greece offers special relaxation facilities such as Spa programs, Welness and treatment services, styling, coiffure and hair cutting. The Calmless at all hotel spaces will make you feel diferent and relaxed at once. There are special, modern and seperated spaces for men or women depending on the relaxation program or the personal care and treatmnet needs of each one as well. Although, except of Spa spaces there are some more Welness facilities and areas such as Coiffure shop, manicure and pedicure facilities, massage room, special body treatment facilities. 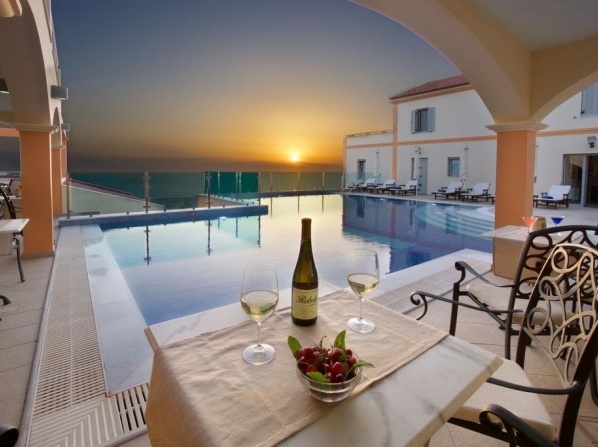 Only 2 m away from the beach of Lassi, the family-run hotel features self-catered apartments set amidst an olive-tree garden. 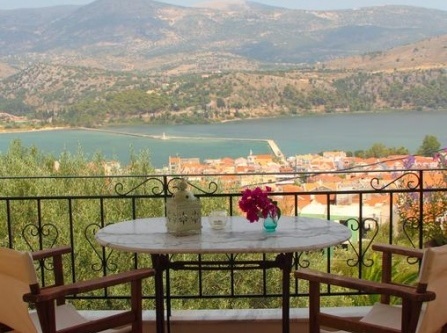 Set amidst an olive-tree garden, the hotel offers accommodation with free Wi-Fi access, less than 2 kms away from Argostoli Port. 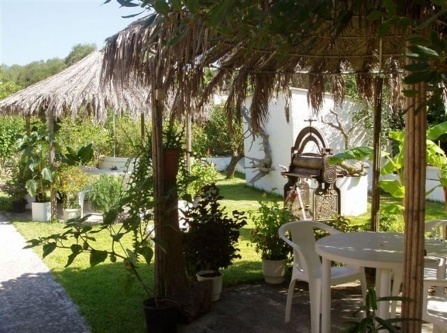 Koukounaries Studios is set in Skala, offering Free WiFi and a terrace with garden views. 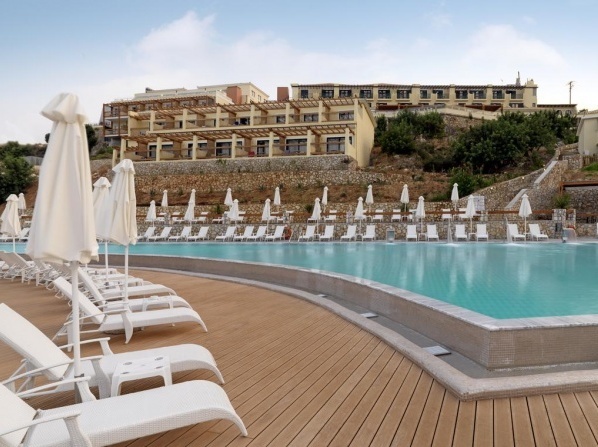 Set amidst a lush area in Svoronata, the hotel features a swimming pool with hot tub, a restaurant and a wellness centre. 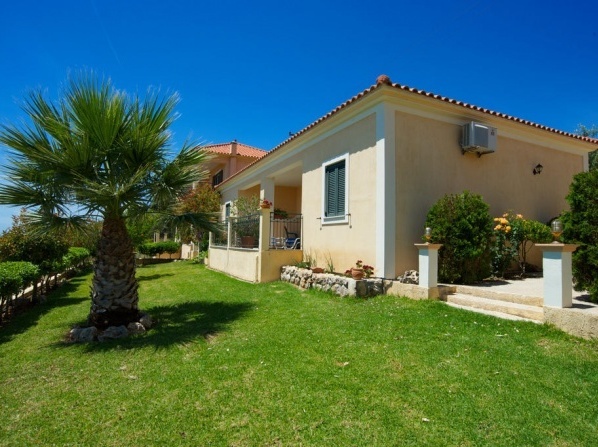 The studios follow the traditional Ionian style and offer panoramic views over the sea. Spacious rooms and suites with sea-view balconies and tasteful décor.